Kathy Tyers is the author of the Firebird series – Firebird, Fusion Fire, Crown of Fire, Wind and Shadow, and Daystar – of the stand-alone science fiction novels Shivering World, Crystal Witness, and One Mind’s Eye – and the Star Wars universe novels Truce at Bakura and New Jedi Order: Balance Point. It’s character-driven science fiction with a deep heart and an inquiring spirit, stories that are accessible and thought-provoking. Explore the links below for more information! In Kathy’s newest book, she passes along all the best writing help she has received since joining her first writers group. WRITING DEEP VIEWPOINT: INVITE YOUR READERS INTO THE STORY is a July 14, 2017 release from the Christian Writers Institute. With the e-book release of One Mind’s Eye, we are pleased to post an excerpt from the first chapter on the website! You can read it here. Great news! An updated version of Kathy’s Bantam book One Mind’s Eye was recently re-released in e-book format with Greenbrier Book Company. You can order your copy for Kindle or Nook at Amazon.com or Barnes and Noble. Click here to order your copy today. Great news! 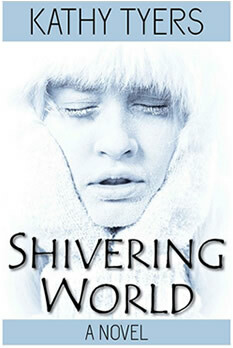 An updated version of Kathy’s Bantam and Bethany House book Shivering World was recently re-released in e-book format with Greenbrier Book Company. You can order your copy for Kindle or Nook at Amazon.com or Barnes and Noble. Click here to order your copy today. 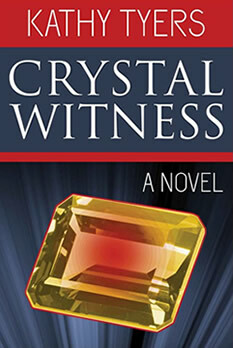 With the e-book release of Crystal Witness, we are pleased to post an excerpt from the first chapter on the website! You can read it here. Great news! An updated version of Kathy’s Bantam book Crystal Witness was recently re-released in e-book format with Greenbrier Book Company. You can order your copy for Kindle or Nook at Amazon.com or Barnes and Noble. Click here to order your copy today. Great interview and general overview of Kathy’s work and writing journey by E. Stephen Burnett. His post “Defeating Gnostic Forces in Fantasy Fiction” is linked here. Enjoy! Our fellow Marcher Lord Press author, Jill Williamson, posted a very kind review of The Annotated Firebird on her website. You can check it out here — and learn more about her current eBook giveaway!